Ovarian Cancer Awareness Month has come to an end and what a month it has been! We're so grateful to each and every one of you who took action during March – we couldn't have done it without you. Ovarian cancer survival rates belong in the 1970s and this Ovarian Cancer Awareness Month we worked with the super talented illustrator @andsmilestudio to bring this to life. 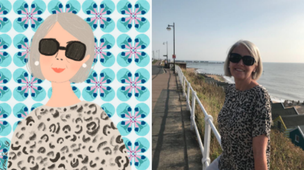 You tweeted in photos and our illustrator created beautiful ‘70s style portraits of our supporters and their loved ones. We were so grateful to see how many of you donated and shared our campaign. Walk In Her Name got off to a great start in OCAM, and this year it’s gone global; from walks across the four nations to a stroll through New York and a 790km hike along El Camino Santiago in Spain! 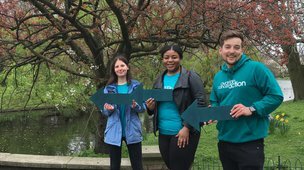 We even held our own walk in Regent’s Park to celebrate all women living with ovarian cancer and to honour those no longer with us. If you’d like to walk in the name of a woman in your life, sign up today and we’ll help you start planning! 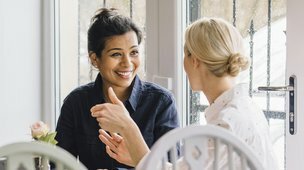 We worked with our friends at Stylist.co.uk and Target Ovarian Cancer to give six brave young women a platform to talk about their ovarian cancer diagnosis and the symptoms that everyone should be aware of. Our resident journalist, Nafisa travelled far and wide to capture the thoughts and feelings of some of our supporters and scientists. 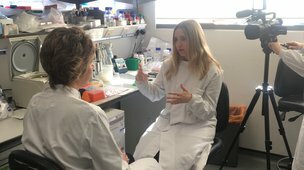 Highlights included inspiring words from Consultant Gynaecological Oncologist Professor Christina Fotopoulou about ovarian cancer surgery, Emma's touching story of discovering her BRCA status, and our very own Marie-Claire Platt speaking to Professor Bob Brown about the research taking place in the Ovarian Cancer Action Research Centre. We were privileged to be the first people to hold an event in the newly-built Cardiff Maggie’s Centre. We heard from researchers, held a Q&A with a panel of experts and ended the day with a support session provided by Ovacome. We also heard about all the amazing activities that will be taking place in the centre, including the very exciting news that OCA’s support group is moving to Maggie’s in June! Thanks to you, during March we were able to reach thousands more women and healthcare professionals with vital information about ovarian cancer. 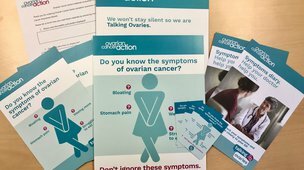 450 of you downloaded our digital awareness pack and we sent out 211 Talking Ovaries awareness material packs and 60 GP training and information packs in the post. Meanwhile, our fabulous volunteers travelled the length and breadth of the U.K., delivering awareness talks in workplaces, universities and prisons. Help us raise awareness this World Ovarian Cancer Day! Early detection is our best means of improving survival rates, yet 90% of UK women are unable to name all 4 symptoms of ovarian cancer. We want to change this, but we need your help.